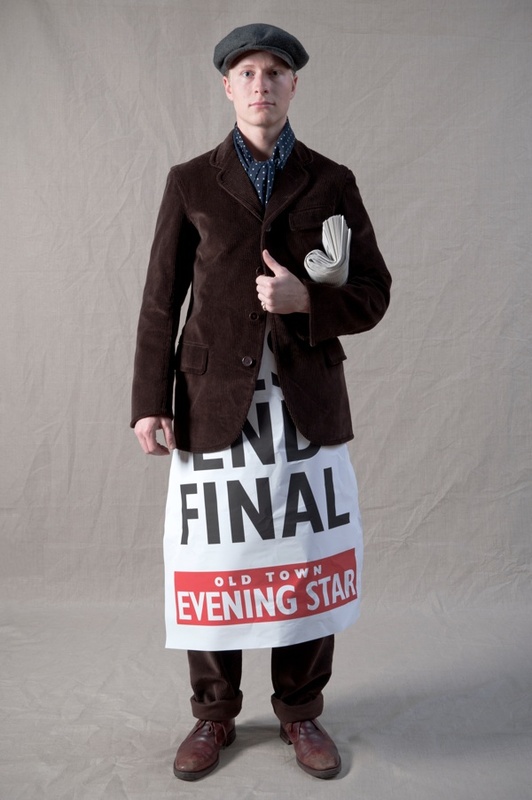 Francis in the role of Newsvendor. 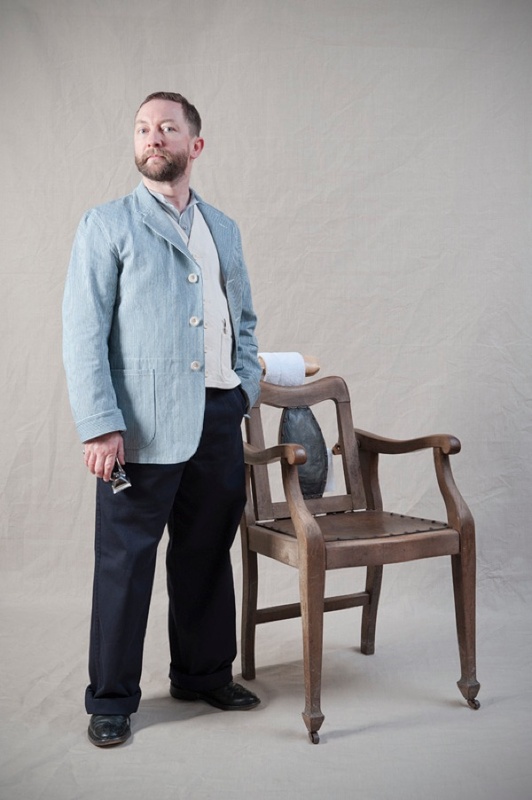 Let me admit to you, I do not know how I could have got through these last two winters without the sturdy tweed trousers that Marie & Will at Old Town made for me. When I visited them in their modest workshop at Holt in Norfolk to collect my trousers, they showed me a book of Irving Penn’s “Small Trades,” dignified studio portraits of artisans and tradesmen taken in the 1950s. And last weekend, Marie & Will came down to Spitalfields to create an entirely new set of Small Trades commissioned from photographer Scott Wishart. 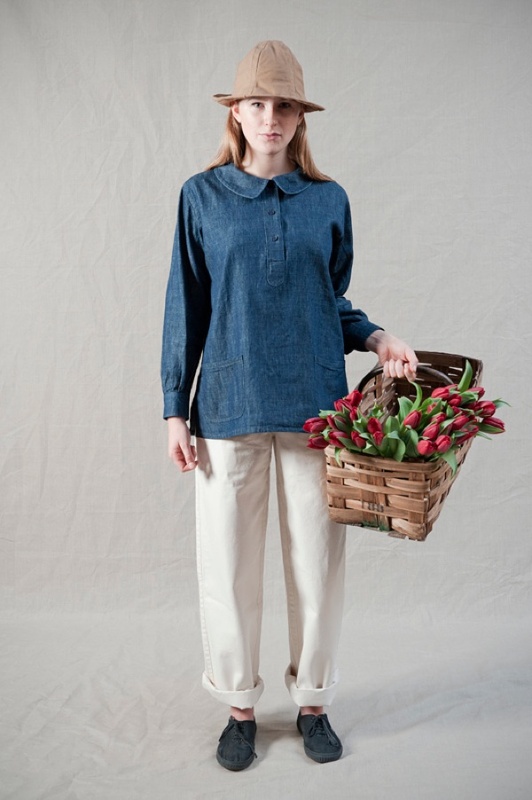 Taking over a first floor room in Fournier St, they borrowed baskets from Leila’s Shop, feather dusters from Labour & Wait, and co-opted friends and local characters to assume the roles of the tradesmen and women, all dressed head-to-toe in Old Town clothing. 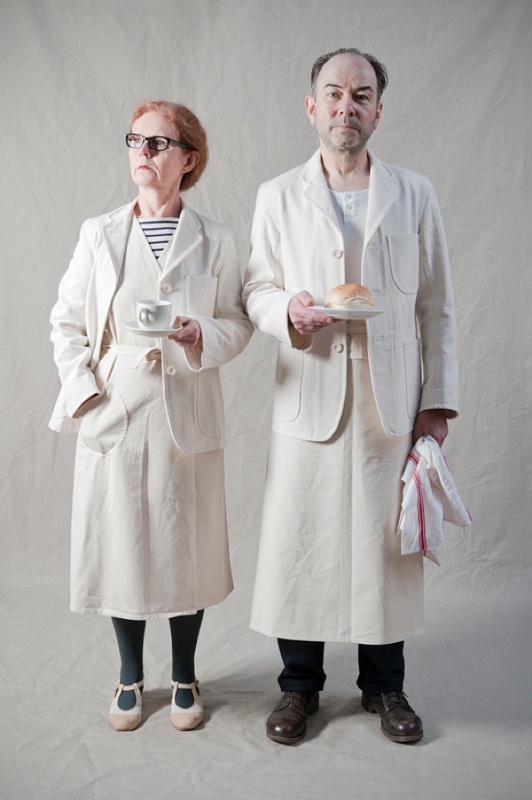 These garments draw their inspiration from classic twentieth century workwear, yet now that almost all casualwear is termed “workwear” Marie & Will sought a means to illustrate the provenance of their clothes, which are derived from actual working clothes and can be worn for work. When Francis Wheatley painted the most famous set of the Cries of London in 1790s, all featuring his wife in the roles of the different hawkers to be found around Covent Garden, he initiated the tradition of these staged portraits of working people, of which these pictures propose the latest example. 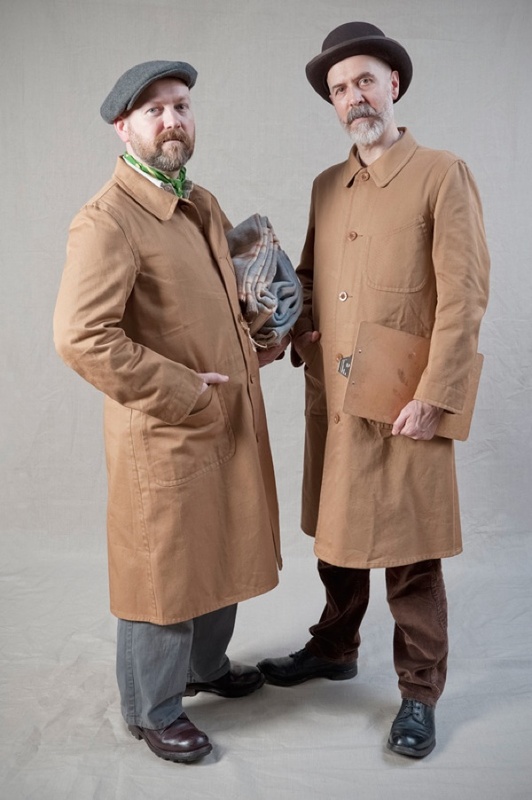 Readers may recognise some of these individuals – Jim is actually a Carpenter and Barry is a Barber operating from Andrew Coram’s Antique Shop in Commercial St, but I leave you to puzzle out the rest for yourself. Jim in the role of Carpenter. 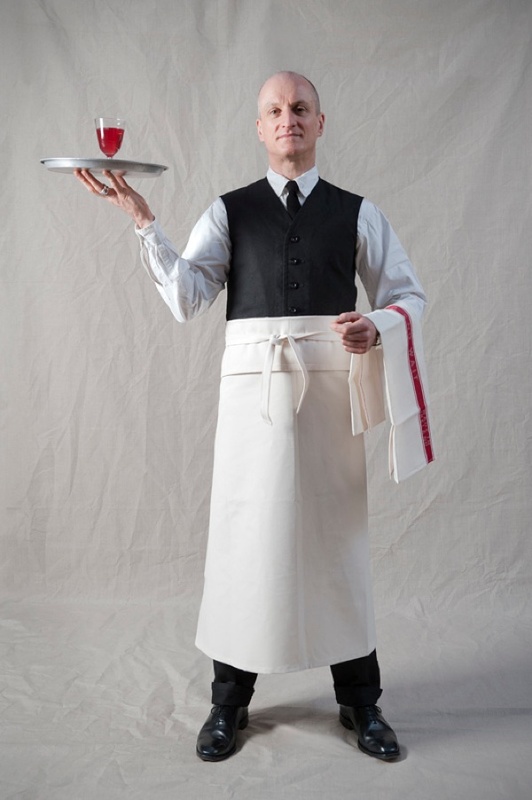 Harvey in the role of Waiter. Twins Lee & Lisa in the role of Housekeepers. 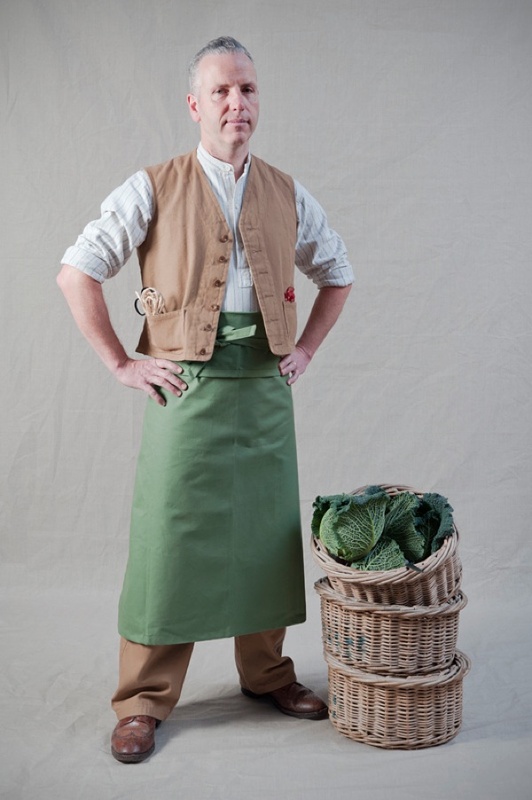 Chris in the role of Costermonger. Miss Willey and Old Brown in the role of Tea Stall Proprietors. Izzy in the role of Flower Girl. Barry in the role of Barber. Bommer & Appleton in the role of Piano Movers. It must be amazing living your Spitalfields life. I do hope to experience it for myself one day. Saw ‘small trades’ exhibition in Paris last year. Beautiful. Actually found it hard to leave the gallery and settled with the book. I am 44 and these pictures have inspired me since I was 14. It’s my favourite book and the original work made me want to be a photographer. It saddens me that it is a world that has gone for all time. I find joy everyday in a great book called ‘shutting up shop’ by John Londei……happiness and sadness all together. 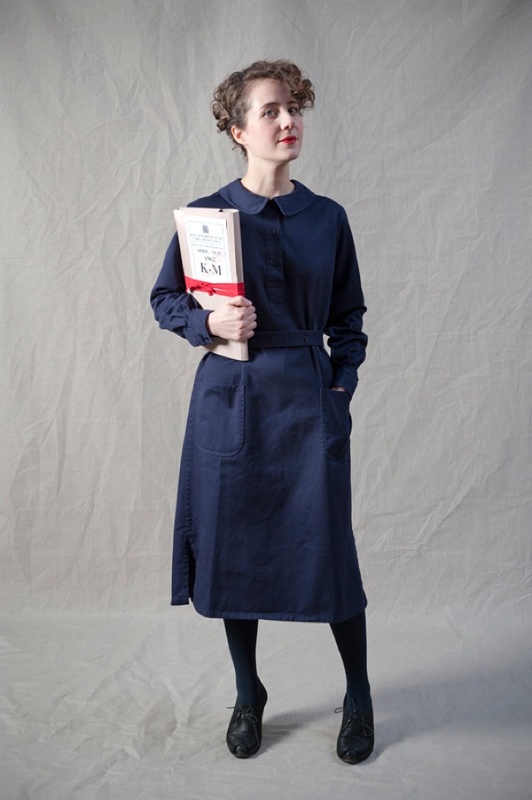 Mrs F & I have just spent a lovely half hour drooling over the clothing on the OLD TOWN web site.. and what a great site it is. A visit to Holt is now on the cards as is me losing weight from round the girth. Thanks for introducing us to this company. A shallow comment but it has to be said. Izzy! You are gorgeous! Been buying from Old Town for a few years now, must be since 2005/6. 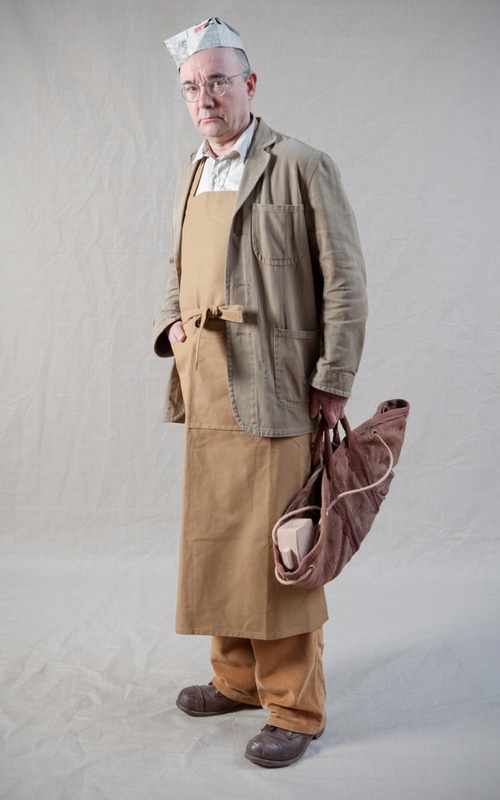 Quality with tradition, a man needs to wear moleskin, canvas, linen, wool, cotton, silk.